Take a moment to think about your bracelet collection. Got any favorite combos? Ever thought of a new combo, but when you try it on, you end up cringing and reverting back to the same old? There’s nothing wrong with that, however, it can tend to get boring when worn too often. We understand that it can be daunting to try something totally out of your comfort zone. To be honest, you are not the only one looking for an answer. With our years of experience in the exciting world of men’s fashion, we have encountered such questions numerous times before. But fear not, we’re here to help. 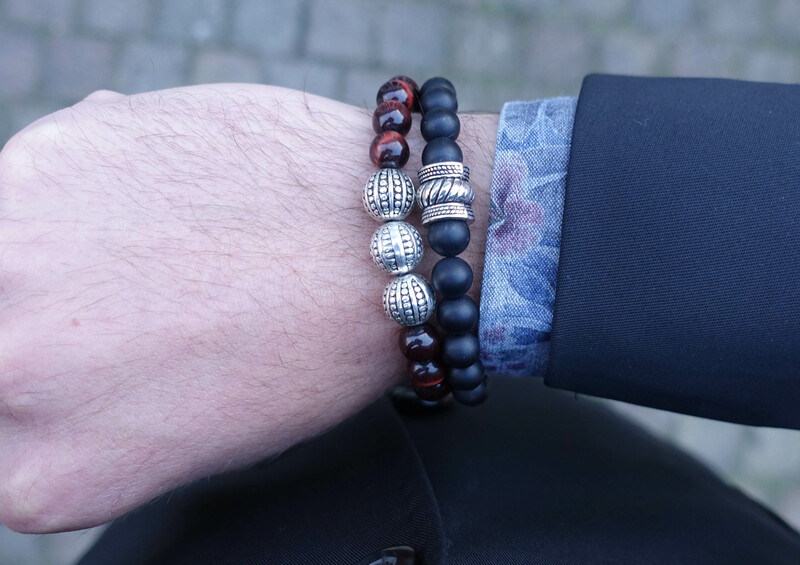 How to Stack Different Kind of Bracelets for Men, Without Looking Like a Fool? There is no straight way to answer this question. Factors like the occasion, season and your own wardrobe style influences on what accessories are right for you. Accessories are an important part of your wardrobe, they help you personalize your look. Picking these is a careful business, you don’t want to look like you are wearing the same mass produced stuff every time, like the majority of people. When it comes to stacked bracelets, you don’t want to play it too safe. The most striking looks blend materials and colors to great effects. 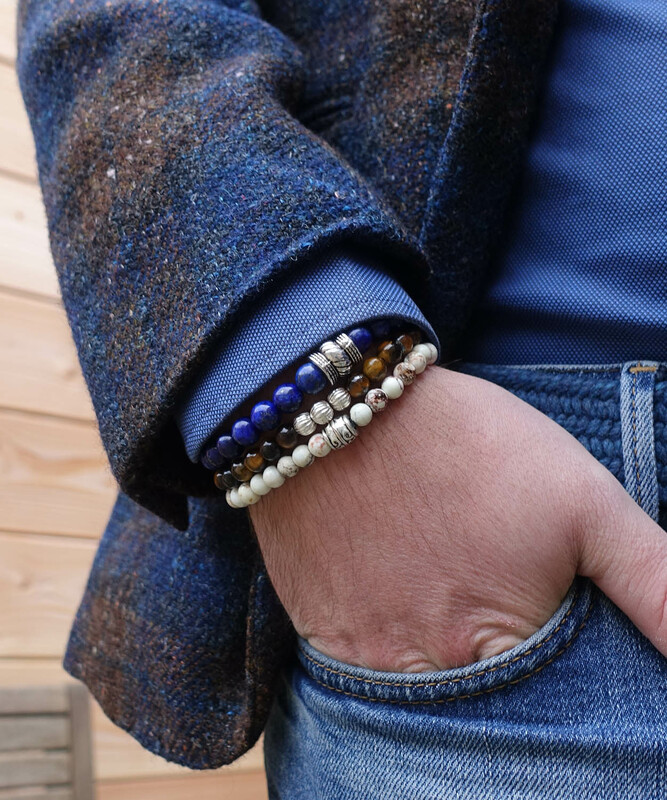 In this article we discuss these topics to inform you of the know-how’s in choosing and stacking bracelets. In choosing the colors, complement them to your complexion and outfit. Try not to ‘’over-match’’ your accessories. For example, a blue suit with a white shirt and black tie won’t pop with a black or gray stone bracelet. Such a situation screams for a statement, like a golden shiny piece. Go for one of the Premium bracelets. If you want to keep it more ‘’business’’, you could choose for a strong blue piece. It is a fact that it’s visually more appealing to see more than one color/shades. If you are wearing a wrist watch, make sure that there is an element matching your bracelets. However though, be careful when choosing the right color. There are a few rules of thumb that you should keep in mind. 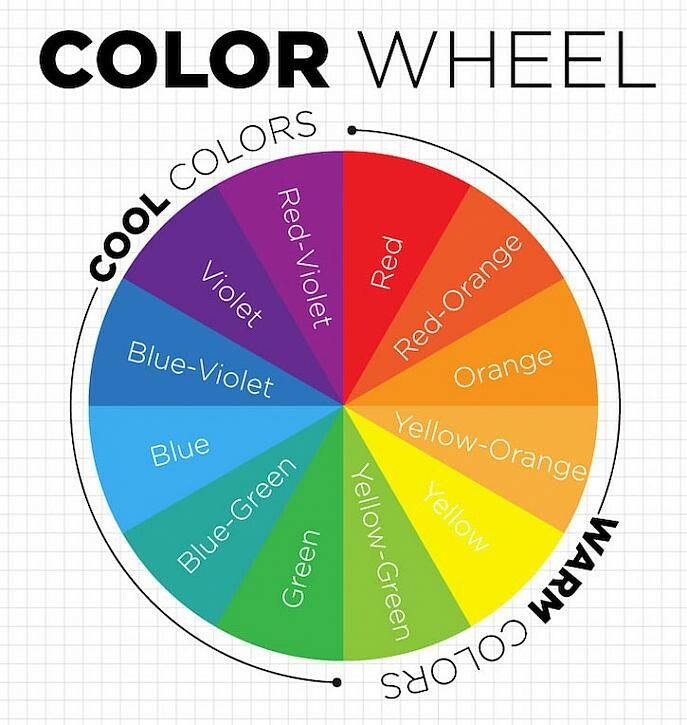 Wheel of color: Not all colors match, and to help you match your clothes with your jewelry you could use the wheel of color. Basic rule here is that every opposing color would be a great match. Red and green, violet and yellow, blue and orange – complementary colors, as the name goes, work best when put together. They might seem bold to look at, but the outputs will be perfect. If you observe carefully, your spring and summer outfits are mostly designed using complementary colors. While some may argue, this is a matter of choice whether you want to make a bold statement or not. Analogous color matching: A more careful approach is matching 2 or 3 continues shades with each other (a.k.a. analogous color matching). As these colors are next to each other in the color wheel, this is a safer strategy in selecting your wearables. When you put together your entire outfit based on this strategy, it generally gives a both striking and stylish look. 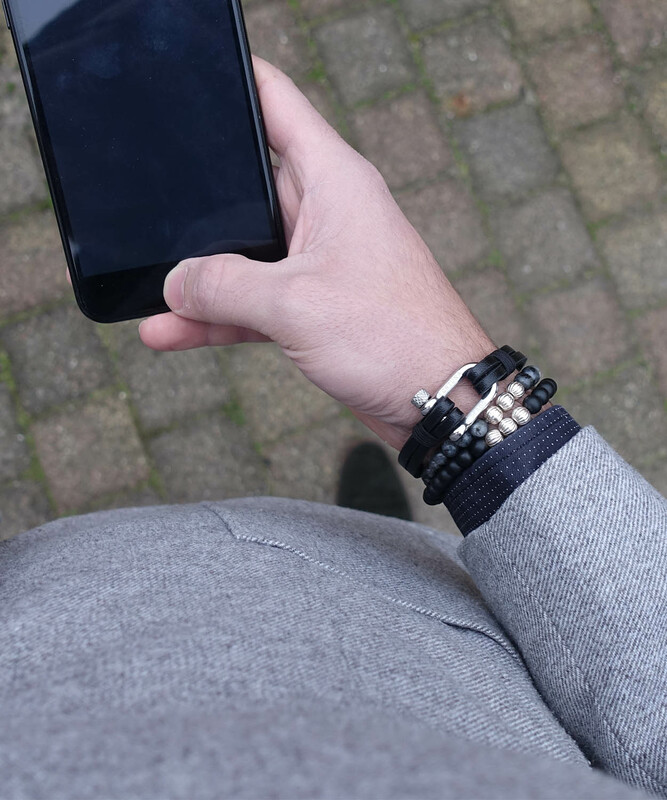 Back to black: So if you’re that kind of guy that likes it easy and practical and you’re just looking for a bracelet that goes well with every outfit, you got to have a basic black bracelet in your wardrobe. This way you’re always good to go. Let’s be honest, most men like it this way and we get that. It’s definitely the best option if you’re in a hurry in the morning and you don’t want to get late for work. We got your back. The more variety in size, the more casual your look. For a business meeting we would recommend to keep your arrangement simple and one sized. In contrast, a day at the beach screams for a more eccentric approach, so don’t be afraid to match different sizes once in a while. 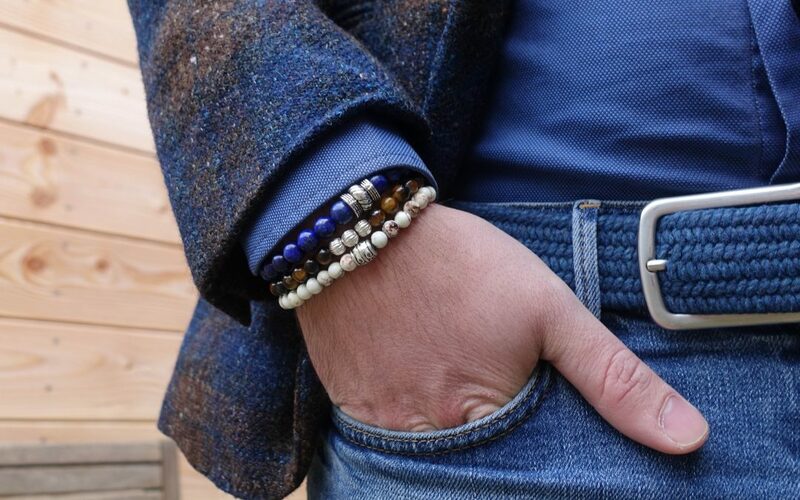 Using several thinner bracelets lets you stack together more pieces for greater variety. 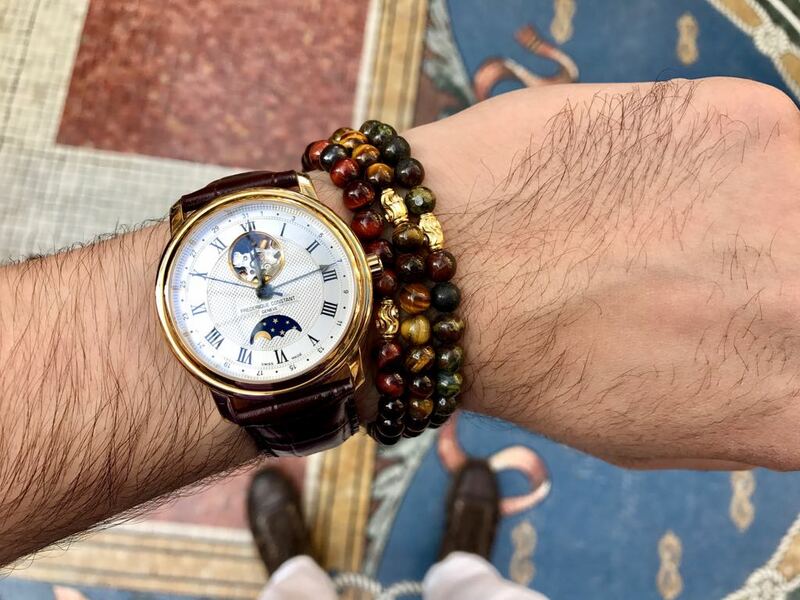 It’s best to stick to one or two larger pieces to avoid creating a clunky, heavy look on your wrist. Small beaded bracelet sizes are 6mm, while bigger varieties are available from 8mm up to 12mm. 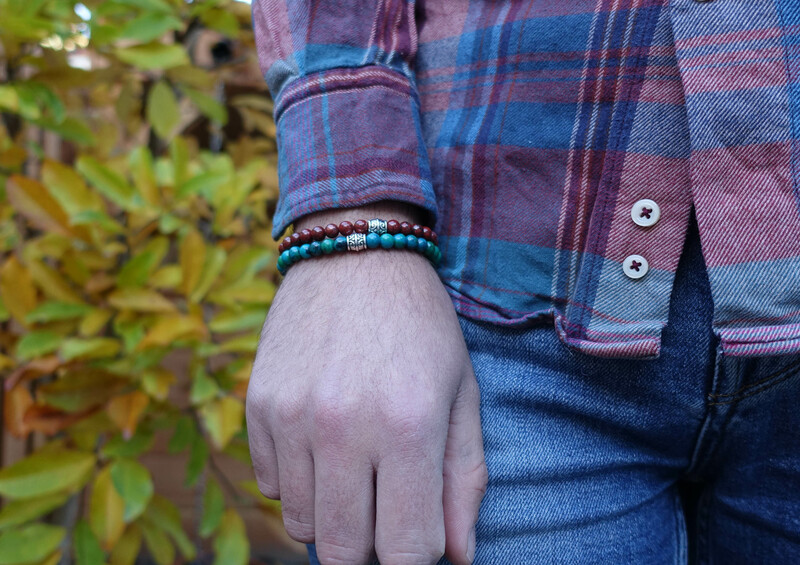 Use two smaller sized bracelets to compensate your look while matching with a bigger sized bracelet. For example, match two Minimal bracelets next to a bigger leather Nautical bracelet , to create a perfectly acceptable wristgame. 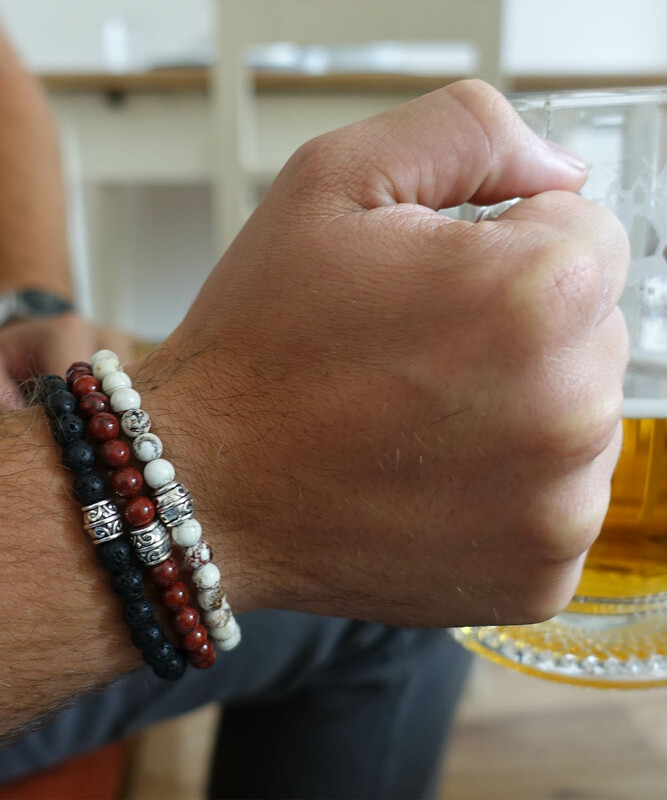 Bracelets for men are usually made of a few common materials, such as stone beads, leather, metal or rope. Mixing and matching materials can give you that extra spark that you won’t get when sticking to one material. Take the Nautical bracelets for example. 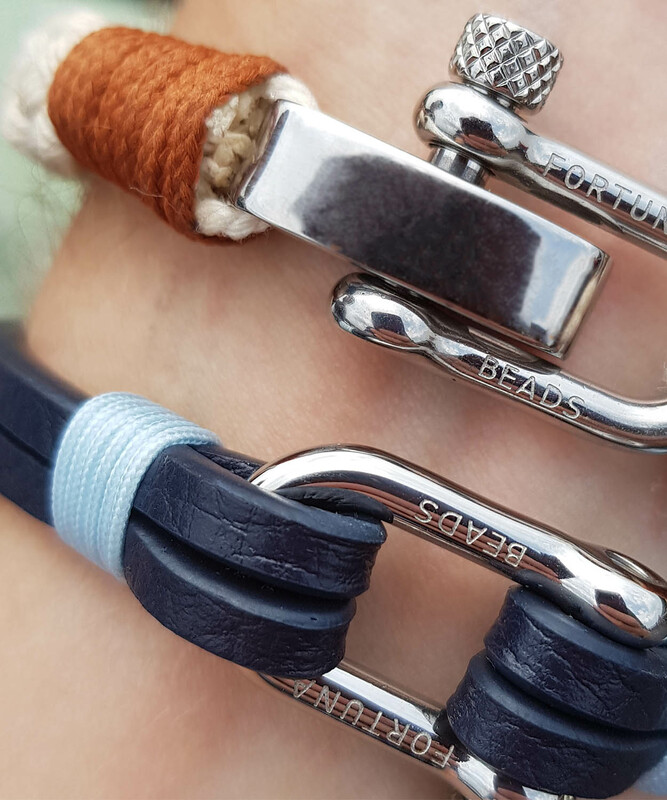 These bracelets are made of a cotton, nylon braided rope or leather and are inspired by the sea and sailing in general. A great plus of these kind of bracelets are the numerous varieties of patterns and textures they are available in. This creates new possibilities in mixing and matching. Like metal, leather is masculine and versatile. It’s possibilities are limitless. Thicker bands are considered rough and manly whereas thinner bands are more chic and sophisticated. Leather in black or brown contrasts go well against a watch, complementing the wrist nicely. Additionally, these bracelets look great with any other materials. These should definitely be part of your bracelet basics collection. In case of matching metals, the basic rule of thumb is to keep all the metals matching: either gold tones or silver, never both. Watches, rings, cufflinks, earrings and all other jewelry follow this rule in general. The only exception is a wedding band, which can be worn with anything — its significance is recognized to be set apart from the rules of fashion. If you do happen to wear colored jewelry, be sure that the colored stone/glass either contrasts or mimics the colors of the larger outfit in the same way as the other accents. Mixing materials and textures will highlight your outfit. Depending on what outfit you’re aiming on, keep variations to a minimum when you want to keep it smooth and classy. Mix materials when you are looking for a more stylish and casual statement. Choose a color carefully. Either go bold with contrasting colors or go stylish with neighboring shades. Size does matter. Keep it one-sized for a clean look and go for variations when you’re looking for a statement. Mix materials for a casual but stylish look. Going for one material keeps it classy and clean. If you are not already following us, maybe it’s time to start. We regularly post new inspirational photos of our products. Do not miss out on exclusive deals, special events and give-aways shared on our social media page only. 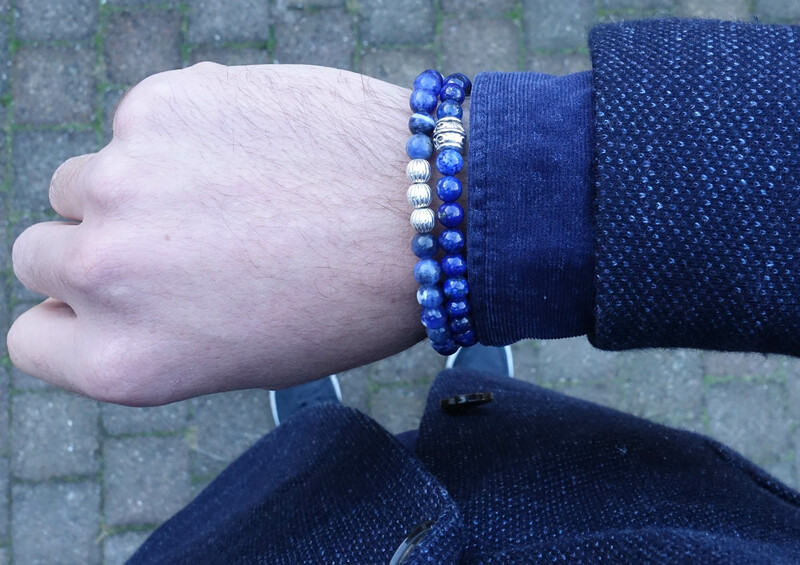 Contributions of our fans and followers using #fortunabeads have the chance to get featured in our timeline or story. We promise not to over-share, overwhelm you, or clog up your social feeds. Our goal is to be a valuable resource.